Home / Market Insight, Financial Articles / Gadgets, Smartphones & Tech / Should Alphabet Inc (GOOGL) Stock Investors Worry About Gov’t Regulation? 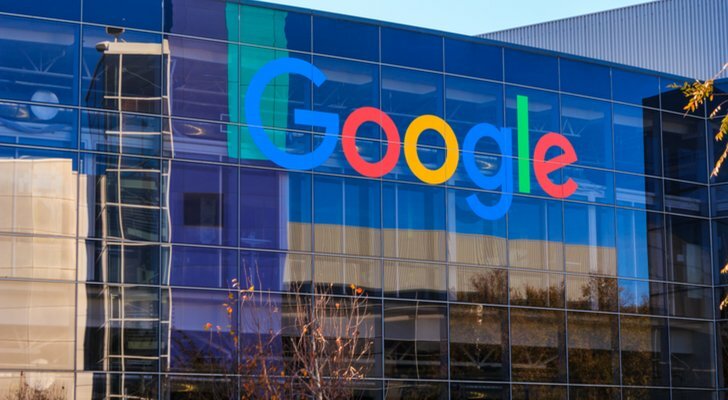 Should Alphabet Inc (GOOGL) Stock Investors Worry About Gov’t Regulation? The five biggest tech stocks, known by the acronym “FAAMG”, have done very well year to date adding more than $700 billion to their market capitalization. Alphabet Inc (NASDAQ:GOOGL, NASDAQ:GOOG) is in the middle of the pack, with GOOG stock up 25%. Facebook Inc (NASDAQ:FB) stock leads the group, up 42%, while Microsoft Corporation (NASDAQ:MSFT), up “only” 17%, lags. As these companies have grown, they’ve turned many businesses and industries — from publishing to retail to cable television — upside down. This creative destruction is both normal and healthy for the economy as a whole, but very painful for the people who’ve lost their job or seen their business fail. And, the upheaval makes them attractive targets for politicians, and, increasingly, public scrutiny. An April 22 article in the New York Times by Jonathan Taplin of the University of Southern California’s Annenberg Innovation Lab discussed how each firm dominated their respective industry, suggesting some regulatory handcuffs should be placed on the tech giants. As I mentioned in my article on Alphabet in June, the EU has been tough on the company, slapping it with three antitrust cases, including one with a $2.7 billion fine. And now that Amazon.com, Inc. (NASDAQ:AMZN) plans on buying Whole Foods Market, Inc. (NASDAQ:WFM), the group can expect even more scrutiny. People in Congress are already calling for hearings. Is this a game-changer for tech companies like Alphabet? Investors like businesses with high entry barriers. Normally, when an industry earns high profits, competitors enter, bringing profits back down. But if it’s difficult to enter an industry, firms will be able to earn above-average profits for years.Famous investors agree. Tech investor Peter Thiel says “competition is for losers” and recommends building monopolies. Likewise, Warren Buffett chooses stocks with economic moats that keep out competitors. Investors love tech companies like Alphabet and Facebook since they are protected by such moats. Good luck overthrowing Alphabet: it has tons of data on its users and massive data centers to power its search engine. Taplin notes that Google commands 88% of the market for search, which should qualify it for status as a monopoly. But there can be consequences for doing too well, including regulatory action. Some are calling for the government to either regulate tech companies like Alphabet as public utilities, or to break them up. They claim that these companies are monopolies, don’t innovate enough and block new entrants. How do their arguments stack up? Companies like Alphabet are only monopolies if you define their markets in narrow terms. Yes, Alphabet probably approaches monopoly status among search engines and Facebook in social networks. But as CNBC’s Matt Rosoff points out, these two companies derive almost all of their revenue from advertising, where they must compete with one another. And in this age of digital disruption, even if you dominate a market, an innovation could pop up tomorrow that renders that market irrelevant. Platform shifts often topple market leaders. Microsoft dominated PC operating systems but Apple and Alphabet ended up succeeding in mobile. GOOGL stock holders also should worry about the transition from the mobile web to apps. Someone who wants to find a local restaurant might pull up an app like Yelp Inc (NYSE:YELP) instead of using Google Maps. Another charge thrown at the Big 5 tech companies is that they stifle innovation and block new entrants. Critics are accusing the world’s most innovative technology companies of not being innovative enough; I find this ridiculous. They argue that innovations emerged after 1956, when Bell Labs was forced to license its patents out royalty-free, and in the early 2000s, after Microsoft was forced to loosen its control of the Internet browser, which supposedly helped pave the way for Google and Facebook. Facebook’s copying of Snap Inc (NYSE:SNAP) might be one of the most recent cases of copying. Earlier this year, Facebook added some features from Snap to its apps, including Instagram and WhatsApp. That might not be very nice for Snap shareholders, but Facebook users benefit from these new features. And why does it matter if a tech giant acquires a successful startup? In most of these cases, they don’t buy it to kill the technology, as some alleged happened with the nickel metal hydride (NImH) battery. If these tech companies really are monopolies, with no incentive to improve their products and services, then why are they investing so much in research and development? Even though it’s the biggest social network, Facebook more than quadrupled its R&D spending from 2013 to 2016. Three of the top 10 recipients of patents from the United States Patent Office were tech companies: Alphabet, Microsoft and Apple Inc. (NASDAQ:AAPL). It’s still early in the Trump administration, which still has yet to find someone to lead the Federal Trade Commission, which looks at antitrust issues. Some worried that Trump would nominate Sean Reyes, Utah’s attorney general, who last year asked federal officials to examine Google. However, Bloomberg suggested in June that he may no longer be in the running. At any rate, AAPL, MSFT, FB and AMZN together make up 10% of the value of the S&P 500 Index — and an even larger share of the Nasdaq 100 Index. Almost every major institutional investor, including pension funds, is exposed to these stocks. This gives the government every incentive to tread lightly. I do worry about tech company valuations, and FB and GOOGL stock, which depend almost entirely on data monetization. It’s never a good idea to have all of your eggs in one basket. There are many good reasons to be concerned about these firms, but I don’t think government action ranks high on that list. 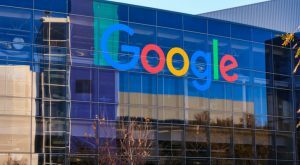 Article printed from InvestorPlace Media, https://investorplace.com/2017/07/should-alphabet-inc-goog-stock-investors-worry-about-government-regulation/.